Today we’d like to introduce you to Jean Konopacz. Jean, please share your story with us. How did you get to where you are today? I quilt and play with fabric for a living. I am what is referred to as a “Long Arm Quilter”. I own a quilting machine that is 12 feet long x 5 feet wide. 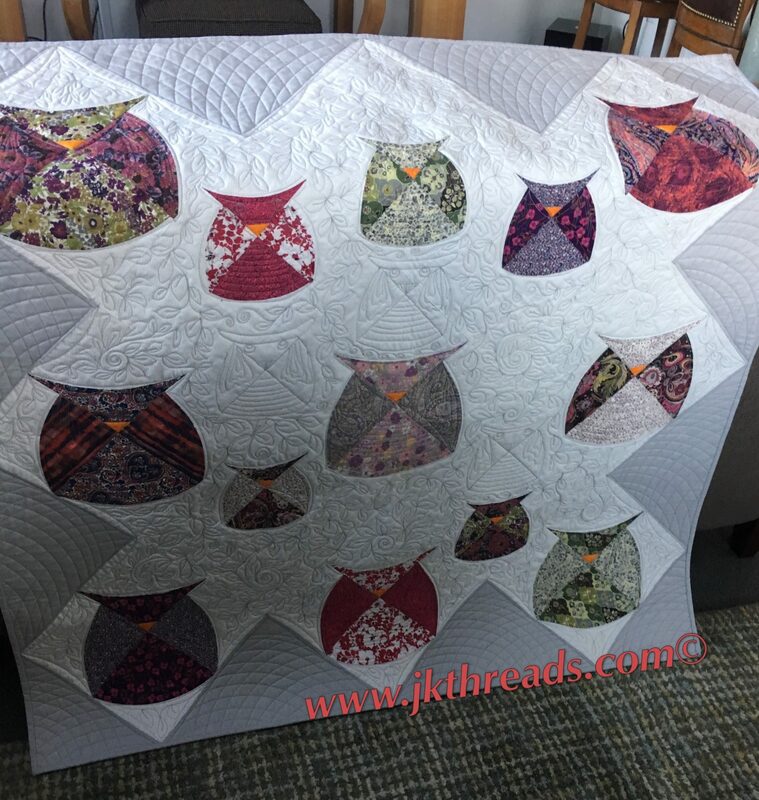 It allows me to load the top, middle batting and backing of a quilt all on 3 different rollers, that hold all the layers taunt until quilted together. 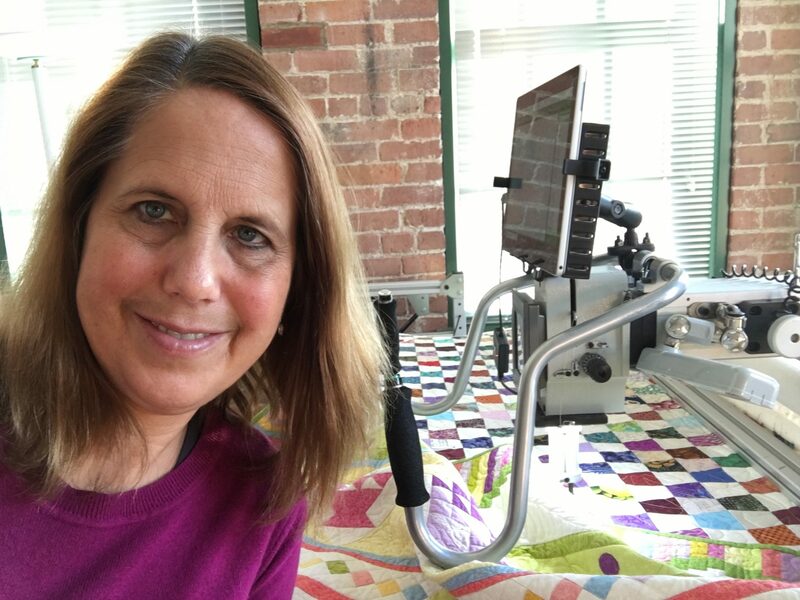 A large long arm quilting (sewing) machine comes over the top of those rollers to allow me to quilt. Its like painting or doodling with thread to me and is very artistic. My clients are locals and from afar through the mail. I create quilts from start to finish for some clients or for other clients I finish quilting the tops they have spent many hours creating. My quilting serves a purpose to stitch the three layers together but it also gives the quilt an artistic dimension with thread. 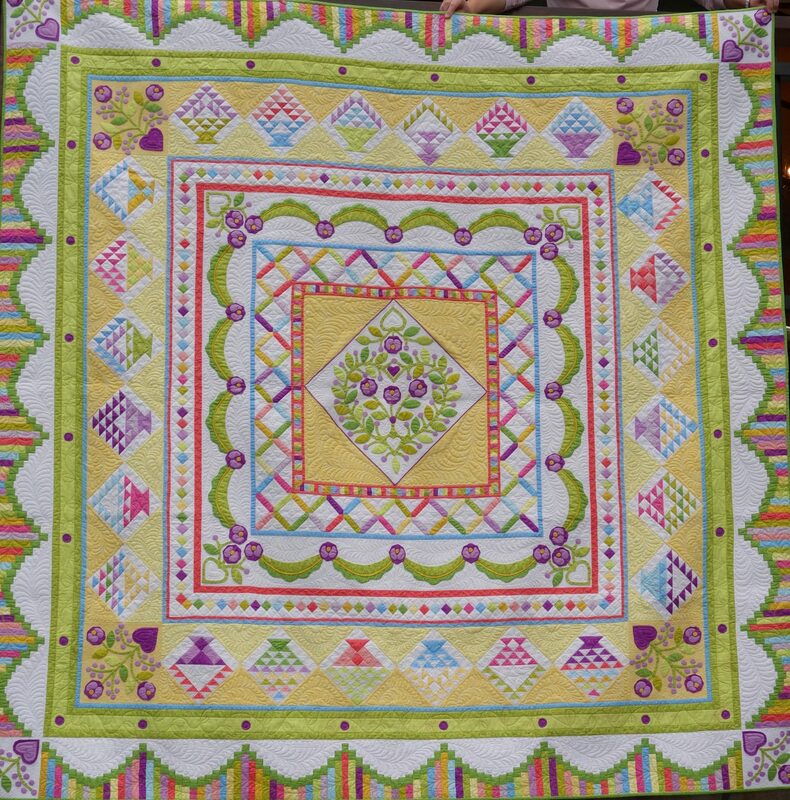 Clients come to me with their quilt tops, the patchwork top and have me finish them. If they have a domestic sewing machine, quilting the three layers requires crawling on the floor to lay it all flat then trying to squeeze all that fabric into a tight few inches on their machine. My machine allows me to lay their creative tops out flat and quilt it properly. My clients create art quilts, show quilts, wedding gifts, bed quilts and baby gift quilts. 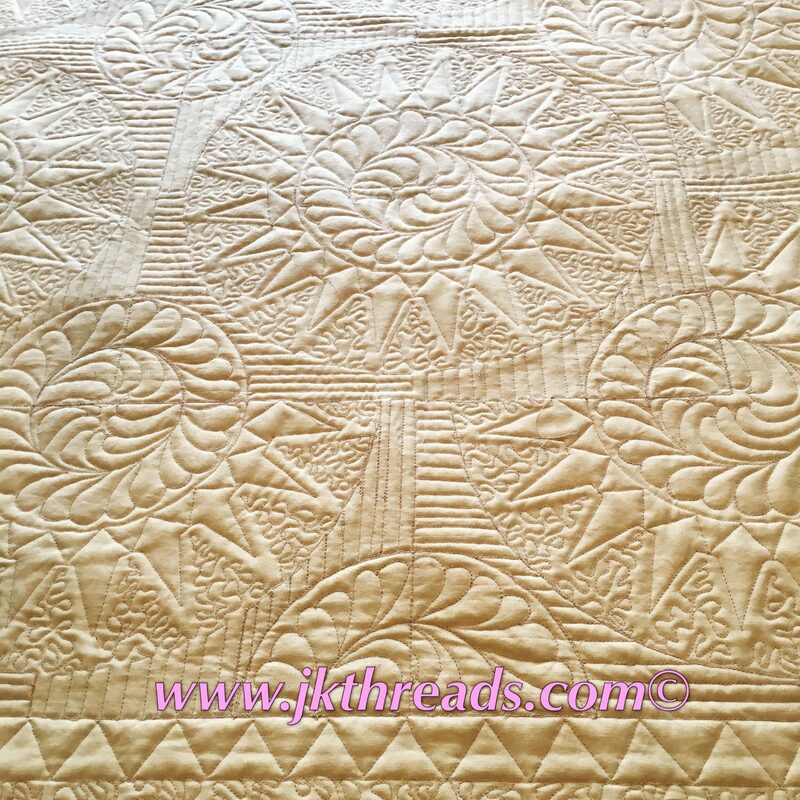 They require anywhere from simple stitching to intricate detail stitching to enter in a competitive quilt show. In either case, their quilt tops are many hours of creative love and they are trusting me to give it life with the quilted thread. This journey started way back as a teenager. I’ve always loved sewing. I went to college for a Textiles and Clothing Design degree along with an Art minor. I spent many years designing clothing patterns out in San Francisco. But then kids and husband’s job moves got in the way. Once the kids were a little older I went back to work in Interior Design, helping people design their homes with drapes, sofas, etc. That lasted many years until another move happened. This one being overseas to Switzerland. I became a “trailing spouse” which was fun for about a week. 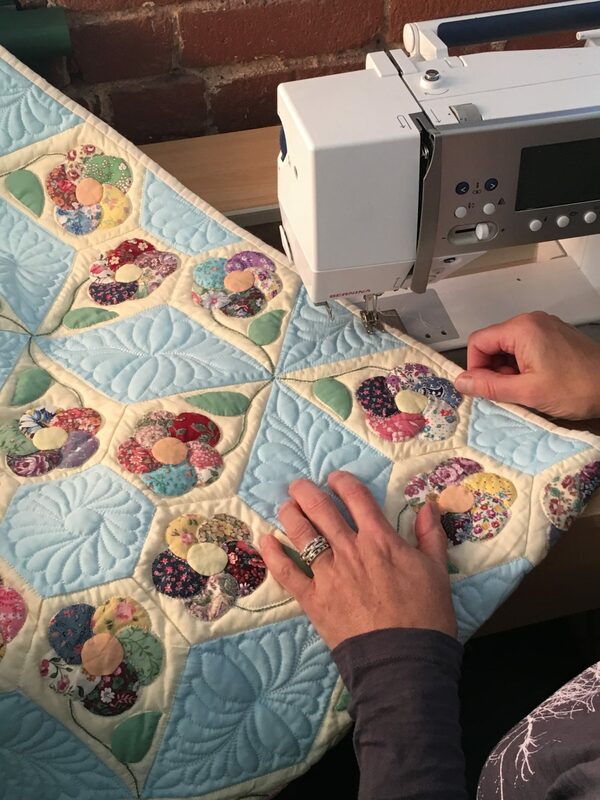 At that time I had dabbled in quilting and decided now I had the time to learn more. I put up a sign at the school and found several others who wanted the same. I started a group and soon became the teacher. I developed classes for adults and children on quilting, sewing clothing, draperies, bags, etc. I became JKThreads. A few years later, I became frustrated trying to quilt a king size quilt, stitching the three layers together in a domestic sewing machine. For our next wedding anniversary, my husband gave me a choice of a diamond or a long arm quilting machine. So off we went to a trade show in Paris and came home with my Innova long arm quilting machine. As I said, it is 12 feet long x 5 feet wide. My little Swiss house had no room for the machine. So I cleaned out our sheep barn, laid down some rugs and lamps, and moved my machine into the barn. I quilted there for 3 years. Then another move, back to the Boston area. My machine came over the Atlantic on the slow boat along with our other belongings. I have been back in the States now for 3 years and am getting to know the local quilting groups and guilds. I now am able to specialize in hand driven long arm quilting only. I quilt for clients from many countries. 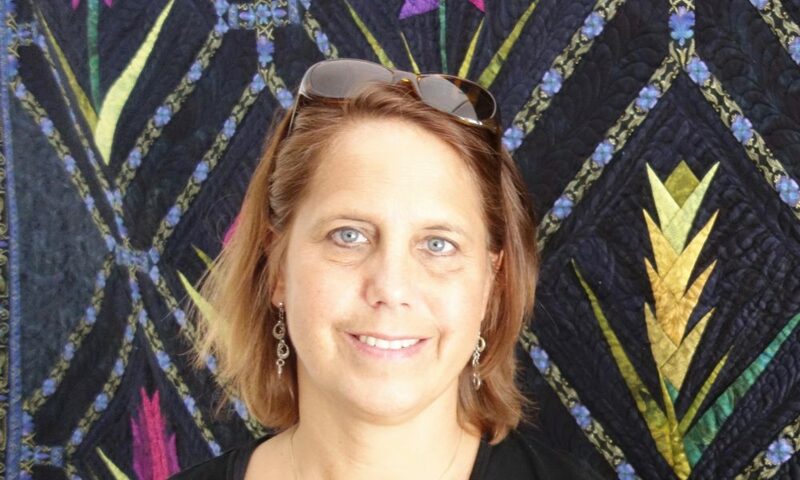 I have won several awards at local and national shows for my quilting. My clients are the best, bringing me all sorts of challenges to be creative with fabric and thread. I love to take your ideas, your photos or even your t-shirts and make it into something beautiful for your wall, your bed, or as a gift. The ideas are limitless. It has been a fun journey. But things like husband’s job moves have pushed me to change and fit in with the local community needs. Other challenges have been being a Sole Proprietor, meaning I am one person having to do it all. I am creative. I do not like doing the billing and taxes. I am constantly pushing myself to market myself better, keeping up with social media and computers. These things all take time out of my day of creating. So let’s switch gears a bit and go into the JKThreads story. Tell us more about the business. I am a long arm quilter. I specialize in hand driven thread quilting. To me, it is a “hands-on” art. My machine is not computerized. My designs are one of a kind and unique. Just as doodling with paper and pencil, I doodle with thread on a quilt. 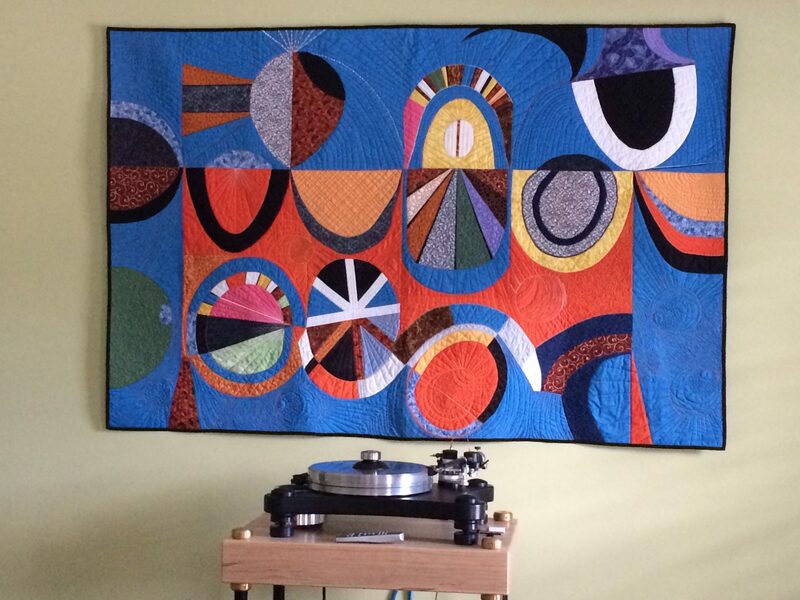 I am most proud of seeing that finished quilt hanging in a show with a ribbon attached to it or seeing my finished quilt hanging in a home or office building with many admirers. My best luck has been in finding a supportive husband who believes in me and pushes me in my art. Our many moves have helped me to see the world and has opened my eyes to more creative ventures. I price overall quilting at $0.025 per square inch. 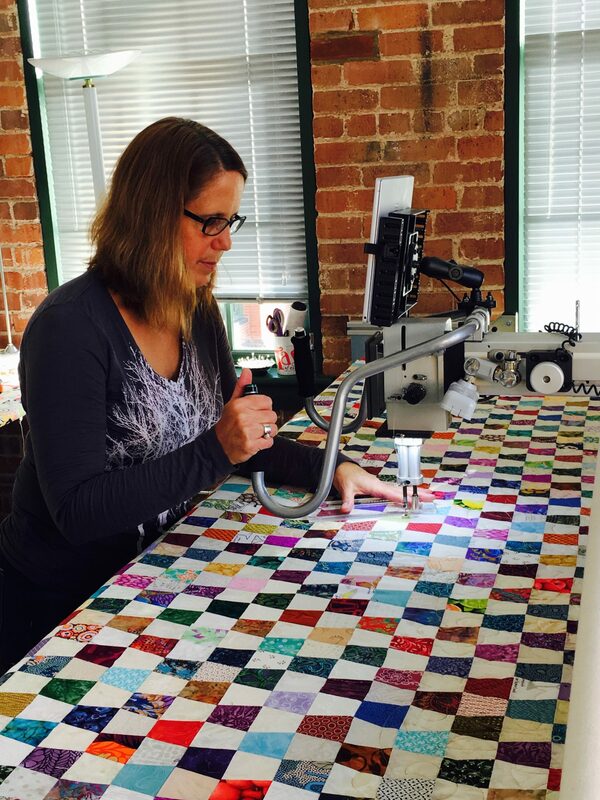 Customized quilting is priced between $0.04 – $0.06 per square inch.